Blog page for Trio Maxim: news, concert schedule, intetresting facts etc. Maxim Baluyev blogs about Trio Maxim news and events, violins, violin student recitals, photography and anything interesting he finds on the net. Trio maxim Blog. Trio Maxim social. 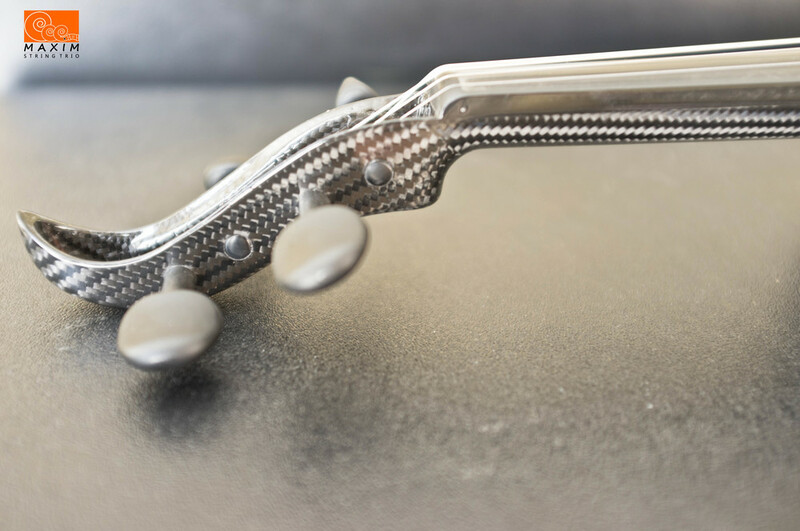 Trio Maxim is proud to be among the first string ensembles to adapt a new technologically advanced Mezzo-Forte carbon fiber violin for our performances. It has been few months since the acquisition, I have decided to share my experience with you. This Space Age looking instrument is made by Dr. Jörg Kleinalstede from Germany. Mezzo-Forte violins are entirely handmade and have distinctive guitar-shape design that is popular with other carbon fiber instrument makers such as Luis and Clark. Unlike it's much pricier counterpart, Mezzo-Forte violins start at€1990.00 or $2250.00 for 4-string acoustic model, and €2450.00 or $2750.00 for 4-string Hybrid (acoustic-electric) model. 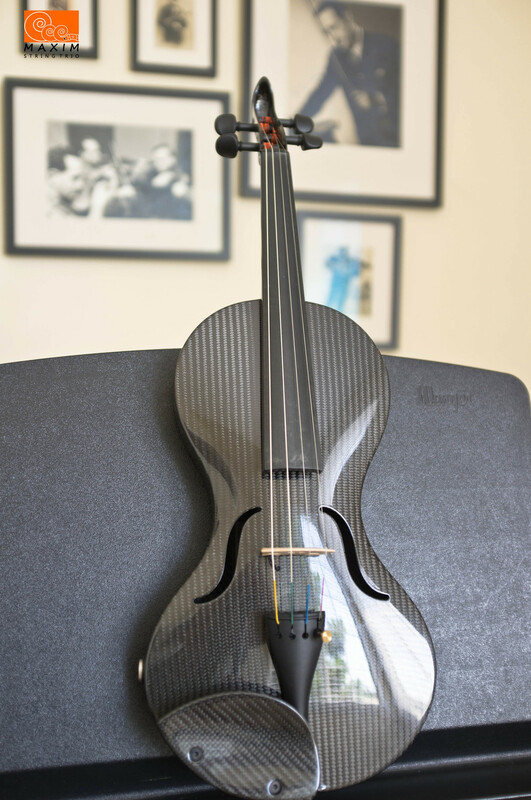 The company also manufactures carbon fiber violas and cellos. So far, my experience is very positive. Violin is well build and is very attractive. All measurements including length of the back, stop length, string height are all standard. This makes switching between Mezzo-Forte and conventional violin effortless. The French made bridge that came with violin is of high quality and very well adjusted, which makes violin easy to play. The weight is similar to a conventional violin, maybe just slightly lighter. This instrument serves a dual purpose and can be played as an acoustic or electric violin, which is very important to us, since Trio Maxim often performs outdoors and indoors during the same event. Changing from acoustic to electric setup is effortless, just plug in a cable and you are good to go! 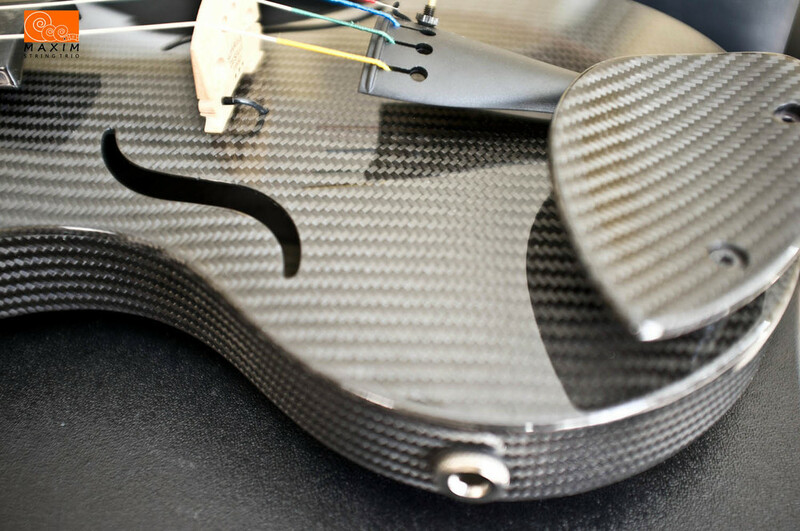 All of the parts of the Mezzo-Forte violin with the exception of pegs and the bridge are made out of carbon fiber, including the fingerboard. It is completely impervious to moisture and high humidity which makes it a perfect outdoor instrument. The sound Mezzo-Forte produces is excellent! It is particularly clear and powerful in upper registers and sonorous in the base. In my opinion, the sound could be favorably compared to much more expensive counterparts made entirely of wood. Mezzo-Forte violin came with soft custom case and certificate of authenticity from the maker. For comparison, I will be posting an audio sample of Mezzo-Forte and a handmade German instrument made of spruce and maple wood.